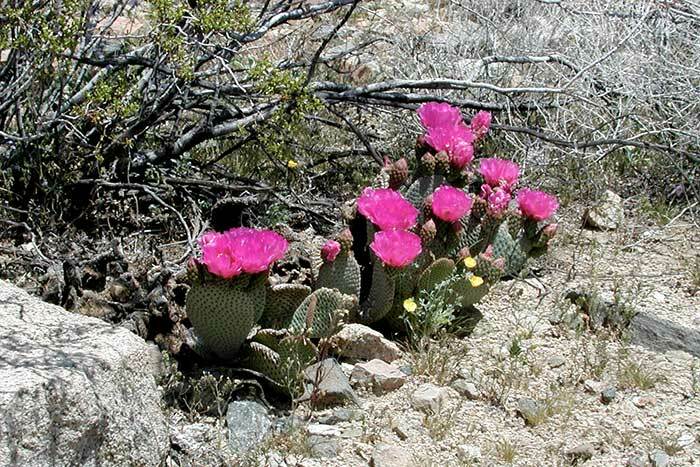 This low, spreading cactus with short bristles grows 6 to 12 inches high and up to 6 feet wide. The gray-green, jointed stems are wide and flat resembling the tail of a beaver. Oval in shape, the stems are 1 to 6 inches wide and 2 to 13 inches long. The stems grow in clumps with flowers from the top edge of the joints. Flowers are followed by a brownish-gray, oval fruit more than an inch long with many seeds. Mojave and Sonoran deserts of southeastern California, southwestern Utah and western Arizona. Brilliant red-to-lavender flowers 2 to 3 inches wide with many petals bloom March to June. 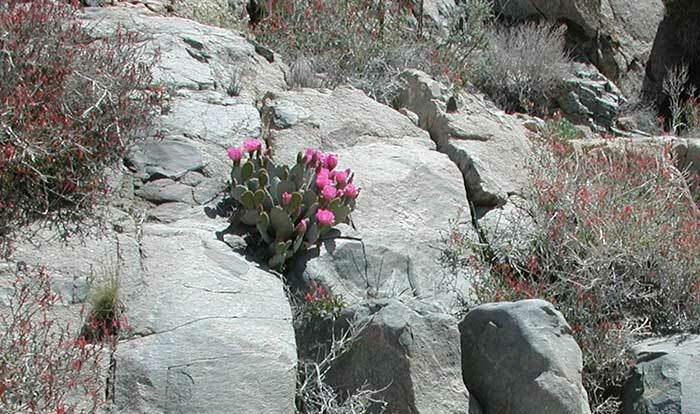 What's Blooming in Anza Borrego? 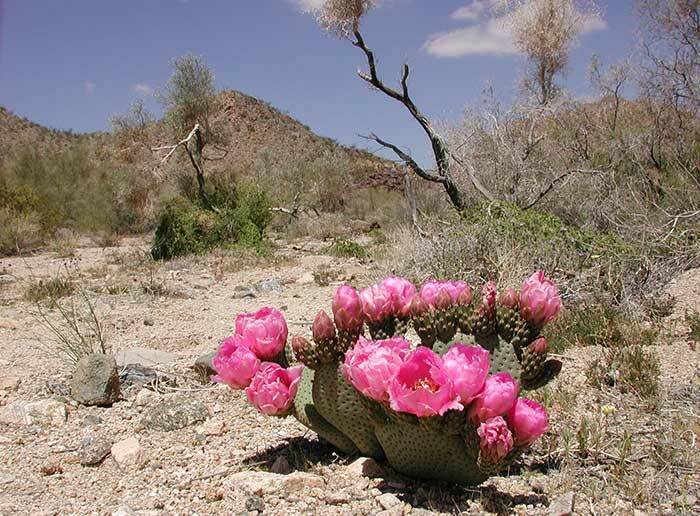 What's Blooming in Joshua Tree? What's Blooming in Death Valley?